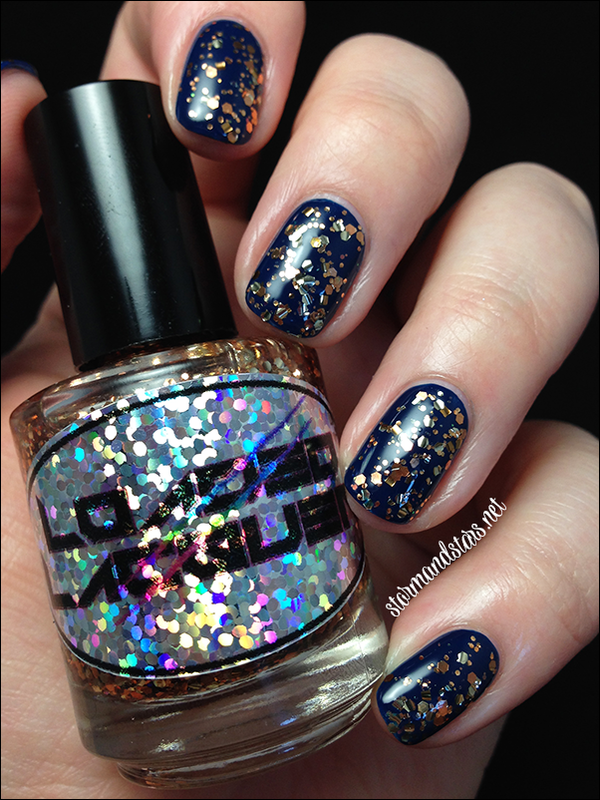 Hi all you lacquer fans! 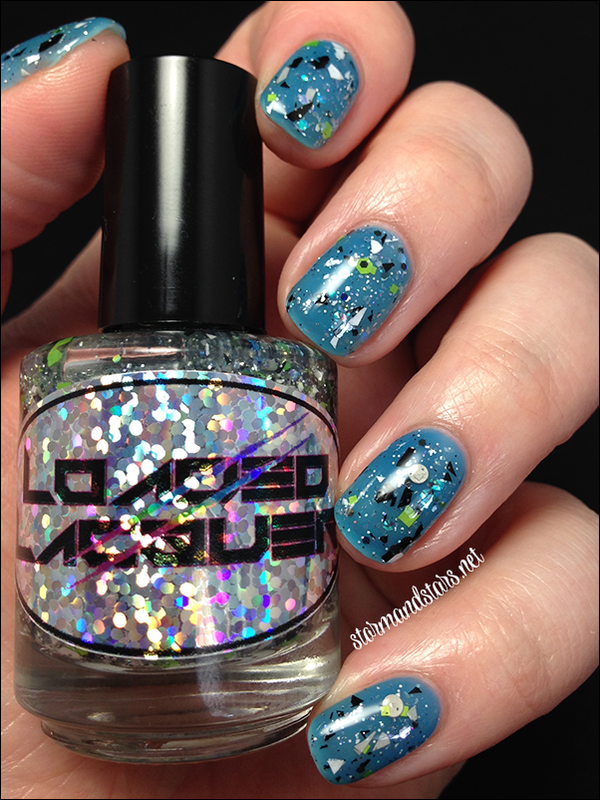 Today I have the second half of the Loaded Lacquer review for you. I made my first Loaded Lacquer purchase because of the Jiggles Collection and I threw a few glitters in there for good measure. Heather was nice enough to add in a few extras for me to review, so I decided to just review the whole lot of them! I posted the first half over here and today I'm going to show you the rest of them. At this point I can't remember which ones I purchased and which she sent extra, but they're all gorgeous and I can't wait to show them to you. Lets just get straight in to the photos shall we? I'm going to start with one of my very favorites, here is Apparition. 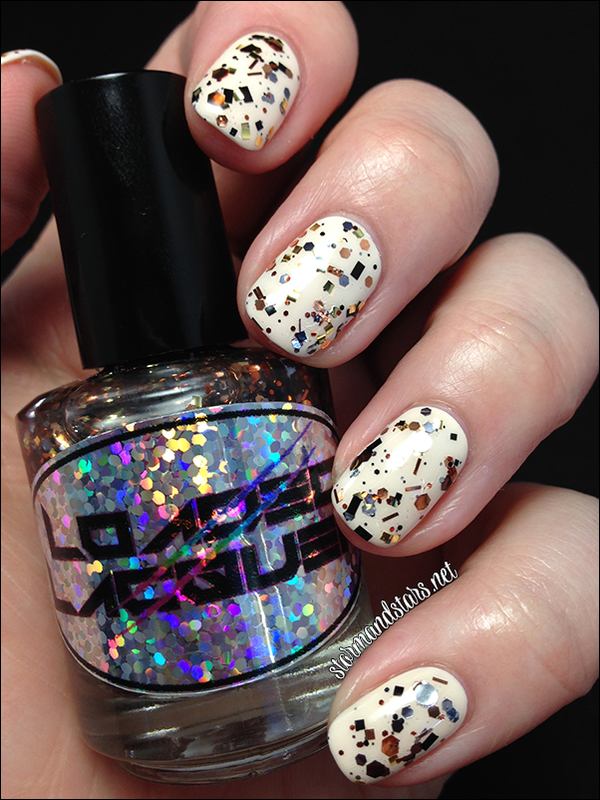 Apparition is a mix of white and black glitter with a few small gold glitters as well as iridescent glitters in a clear base. 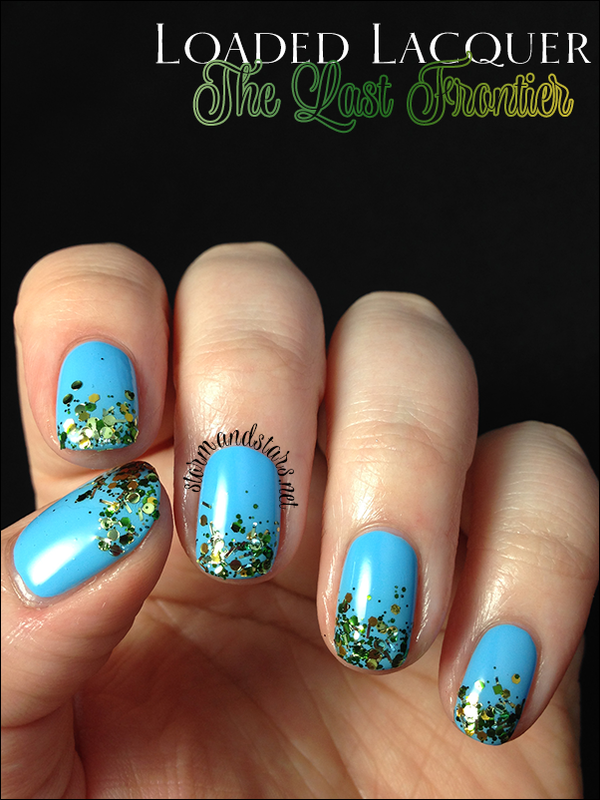 I LOVE this lacquer! I feel like it will look amazing no matter what it is put over and it really adds a lot of interest. 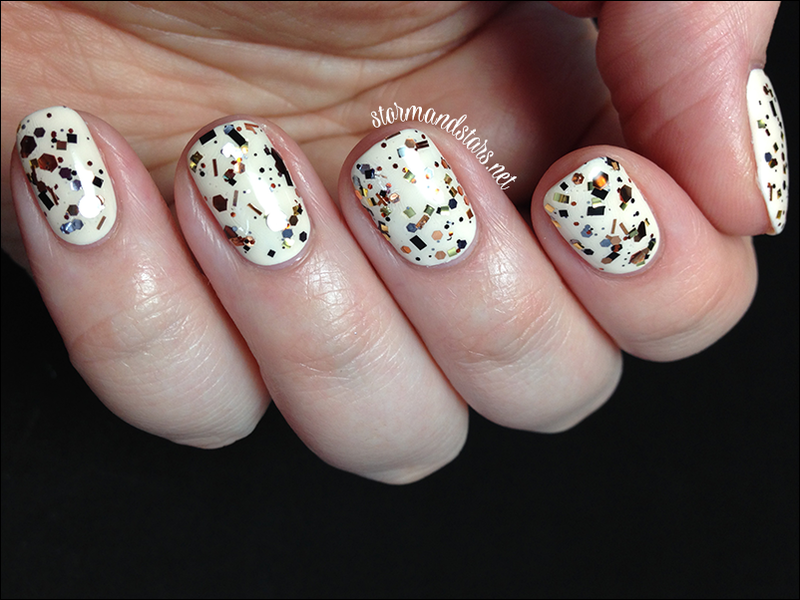 It's a take on the black and white glitter topper but with a little extra something for umph and it really works. I layered Apparition over Lime Crime Once In A Blue Mousse for these photos. This is ONE COAT plus top coat to smooth it out. Island Punch is one of the lacquers that made me fall for Loaded Lacquer. I love me a squishy jelly and this one does not disappoint! 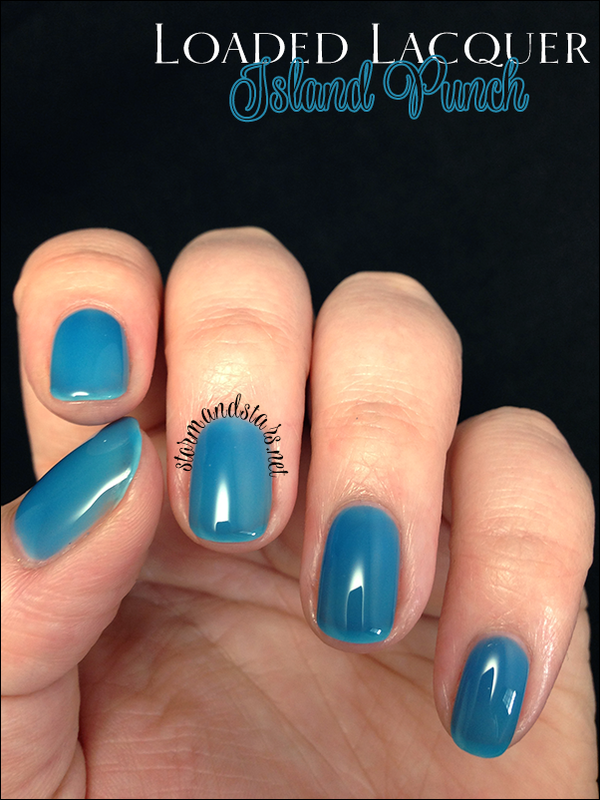 Island Punch is a tropical blue lacquer with a jelly finish. It builds really well to a more opaque finish. 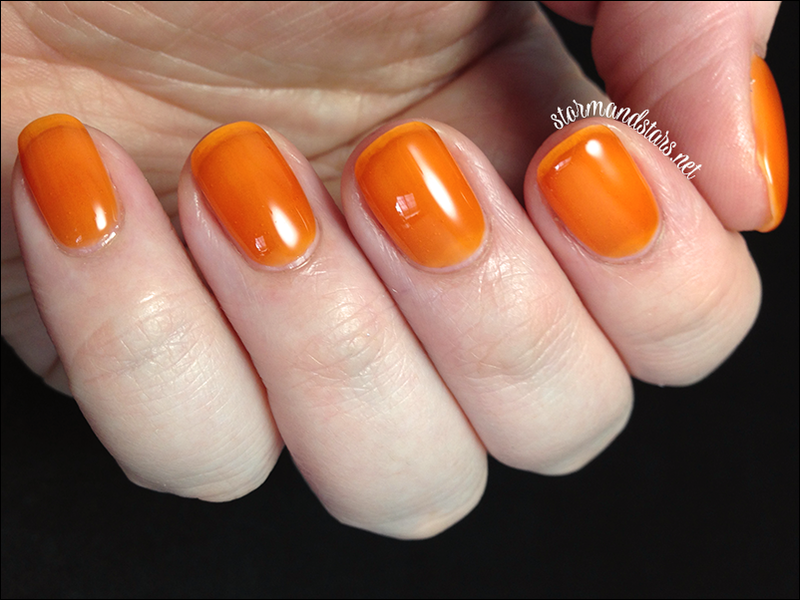 I used three coats of Island Punch here plus topcoat. I found it to be a little on the thick side, but definitely not thick enough to make it hard to work with. I would say just thick enough to work well for this type of polish. 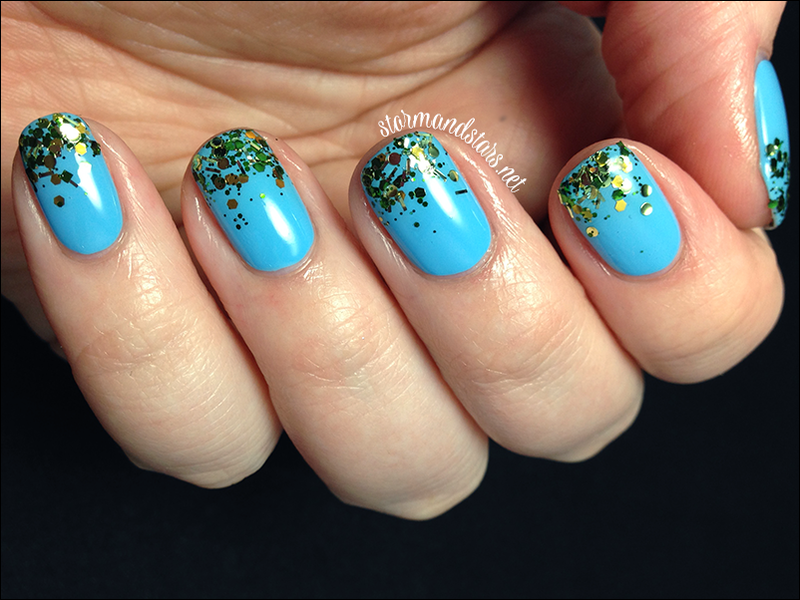 How about a brightly colored glitter? Meet Bathtub Time Machine! Bathtub Time Machine is one of those glitters that is just so fun to look at. It is a mix of all sorts of colors and shapes, but it all comes together in an eye catching clash of colors. I can see this lacquer looking great over just about anything because there are so many colors included. I would probably stick to lighter colors thought because of all the neon glitters in there, the light colors make them POP! I layered Bathtub Time Machine over a base of Lime Crime Crema de Limon for this look. I used two coats to get this much glitter but I really didn't need to do much placement. I did find the base a tad thick, but again, not hard to work with. I used a coat of Seche Vite to smooth it all out and make it shiny. Next up was one of my surprise faves. Here is The Dog Ate My Homework. Every time I look at this baby I find something new to look at. I layered one coat of The Dog Ate My Homework over Island Punch here for this look. 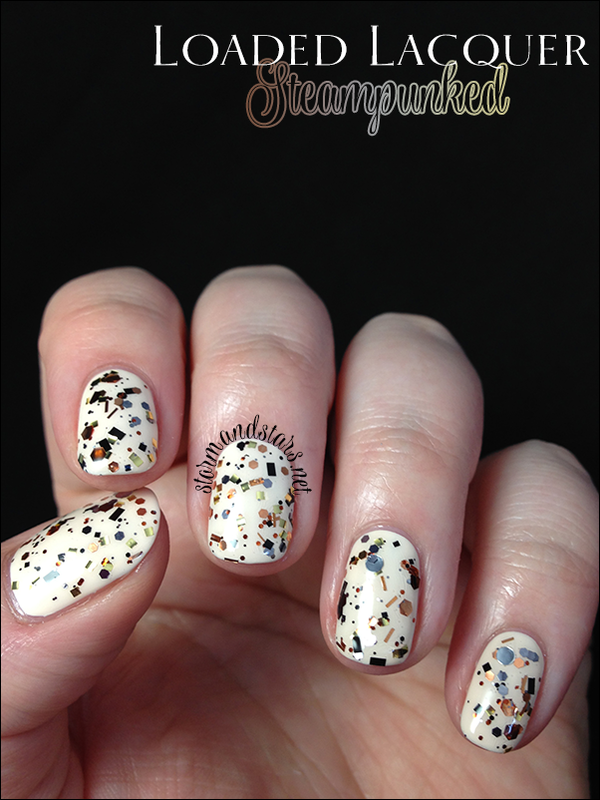 The formula on the polish was fantastic, it is completely LOADED with glitter and I didn't need to do any fishing. Glitter polish at its best. The other jelly I have today is Mango. 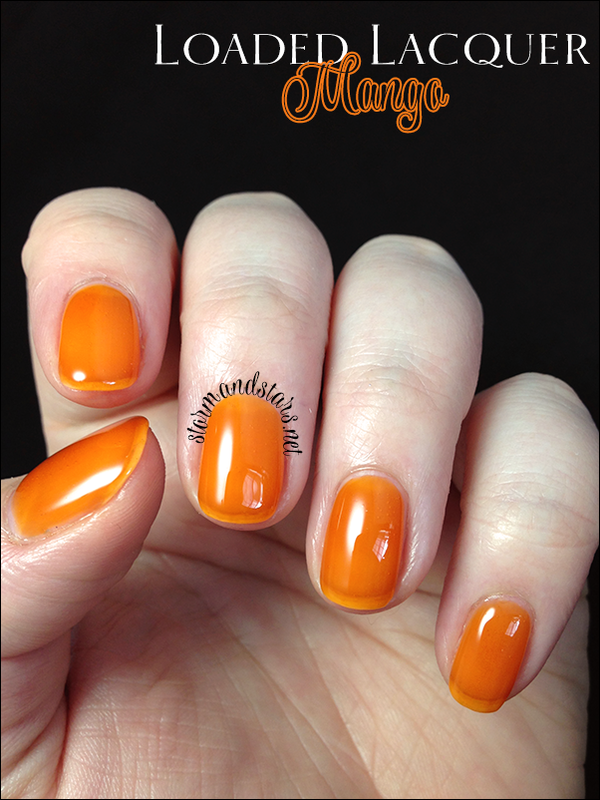 Mango is a very sheer orange jelly. 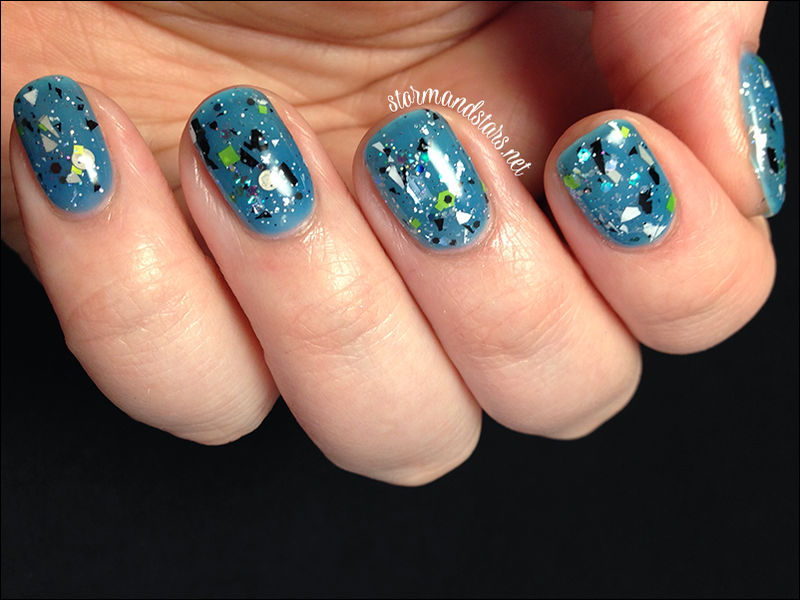 I used four coats for this opacity and unfortunately I found this one to be a little too thick to work well with. I added about 10 drops of thinner and it was much better so it may have just not sealed 100% and thickened. I added top coat to this to make it really shine. 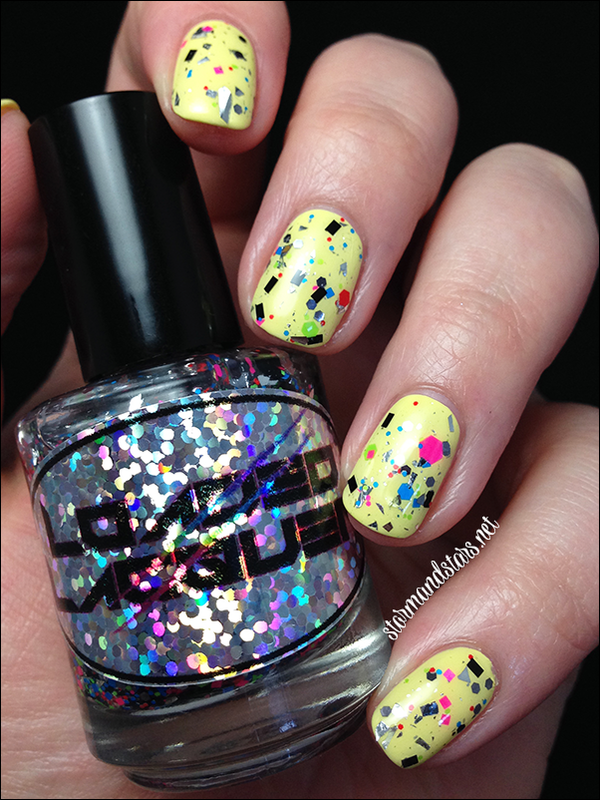 One of the Loaded Lacquer favorites by many is the next polish. Here is Moonshine In A Jar. This is one of the first lacquers I fell in love with from this brand. I just love the mix of colors. It reminds me of old coins. 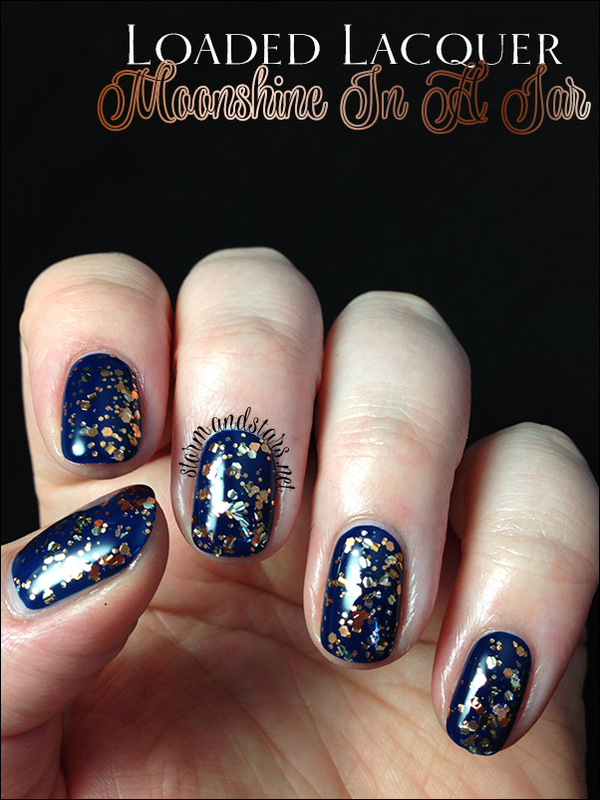 Moonshine In A Bottle is a mix of copper and gold and champagne hexes in a clear base. 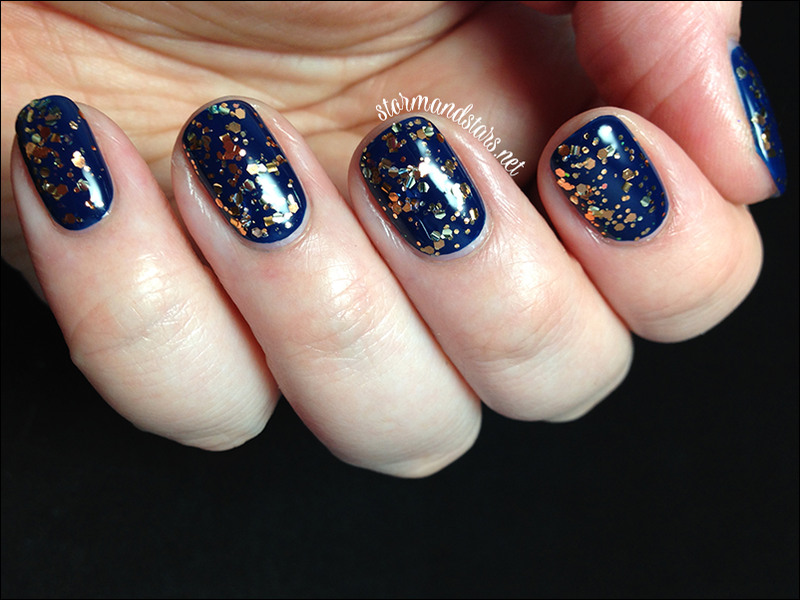 This baby is LOADED with glitter, but I did have some clumping, I think because the glitter is all the same shape. 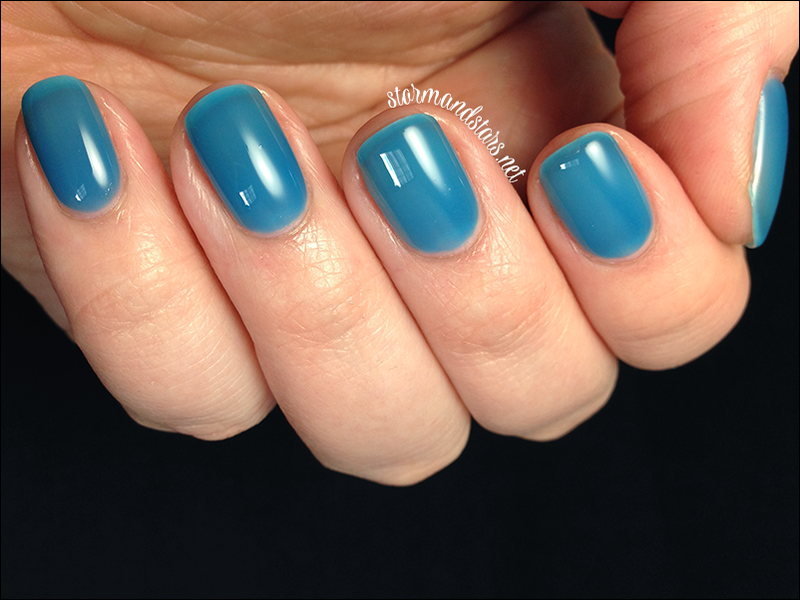 It didn't really cause much trouble though because this is just one coat over OPI I Saw... We Saw... Warsaw. I also added a topcoat to smooth everything out and I love the contrast of this lacquer on the dark blue of the undies. The Last Frontier is another that Heather picked out for me. I surprisingly really love this one too. Maybe Heather knows me better than I know myself! The mix of greens in this is really subtle and they work so well together. 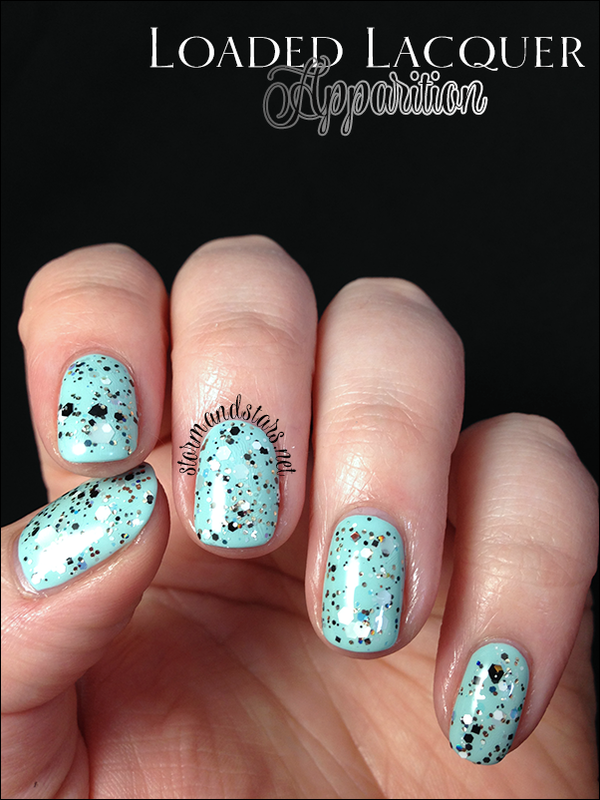 The Last Frontier is a clear base loaded with shades of green glitters in all different sizes and shapes. I used a makeup sponge to apply The Last Frontier to only my tips and make a gradient effect. 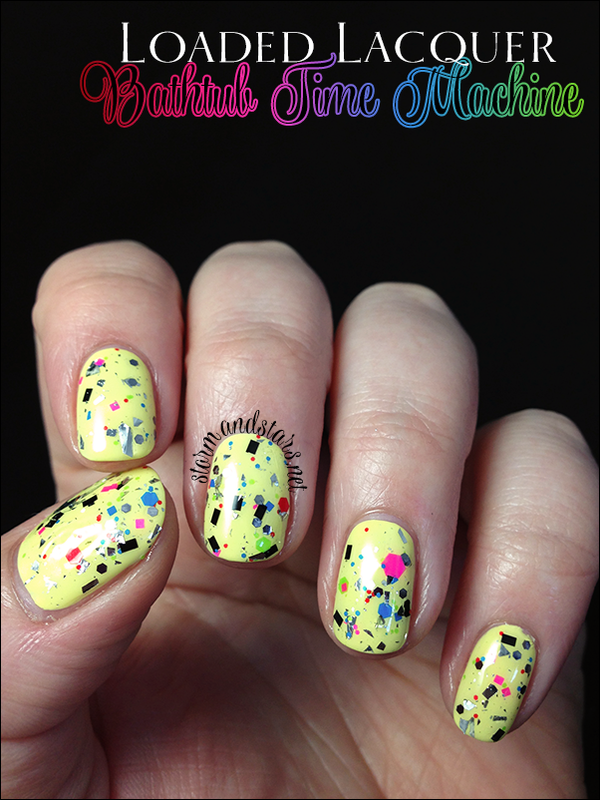 I used Cult Nails Nakizzles Shizzle for the undies and they topped the whole thing with Seche Vite. 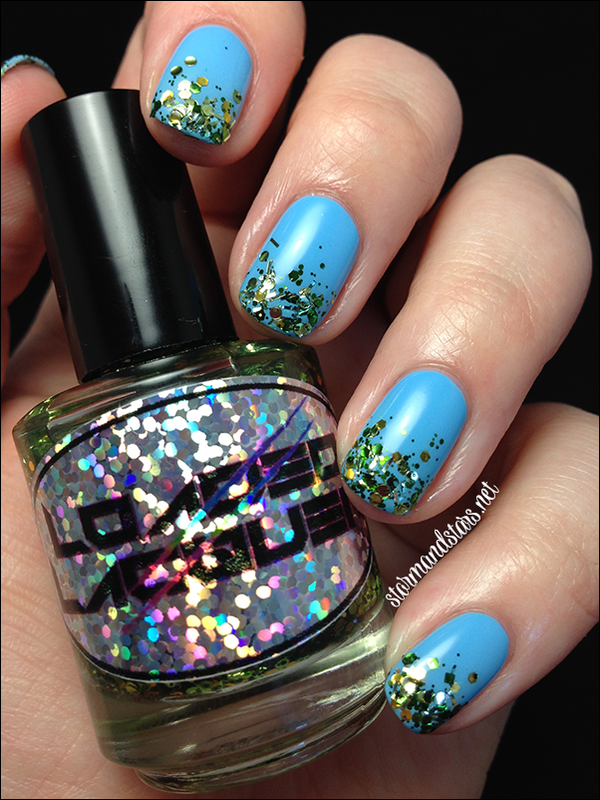 The formula on this was great and there is SO MUCH GLITTER! SQUEEEEE! I have so. much. love. for this glitter. Its edgy and fun without being too loud. I love all the shapes and colors and the name is perfect. I can't wait to have time to include this in a mani with the steampunk bits my good friend Cindy sent me to play with! As you can see, Steampunked is a mix of all metallic glitters in different shapes. They're all in metal colors like gold, copper, silver and brass. I LOVE THEM ALL. I used just ONE COAT of Steampunked over my favorite cream, Lime Crime Milky Ways. I didn't want to take away from this beauty with any overbearing colors. I didn't need to do any fishing and the formula was superb. I topped the whole thing with topcoat for shine and to smooth out the glitter. A lot of these shades are sold out in the shop right now, but a little birdie told me Heather is having a restock this Thursday May 8th so mark it on your calenders!! So what do you think? 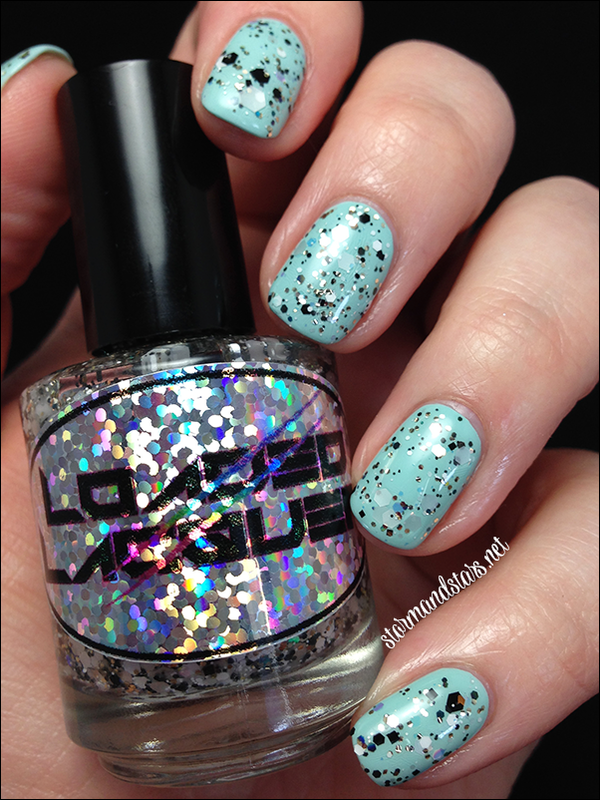 Are you a Loaded Lacquer convert yet? 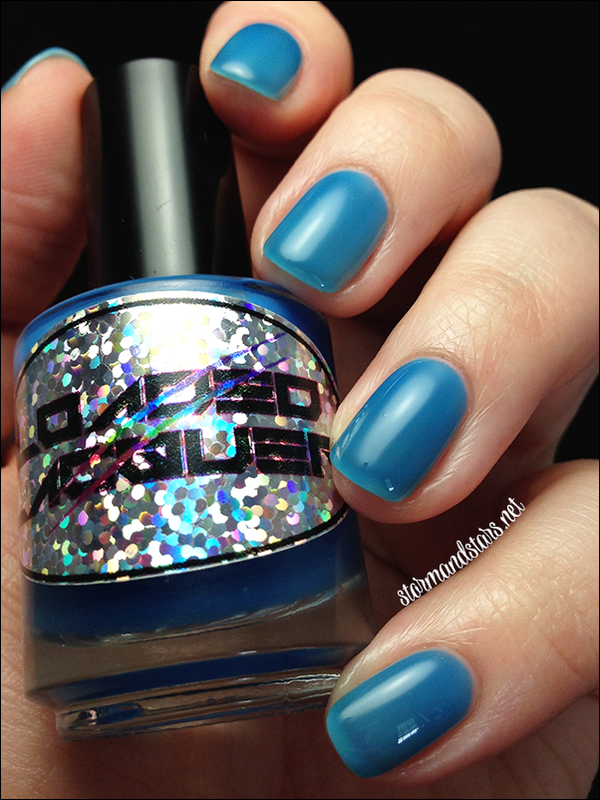 I'm personally already planning my next shopping trip over at the Loaded Lacquer Shop! 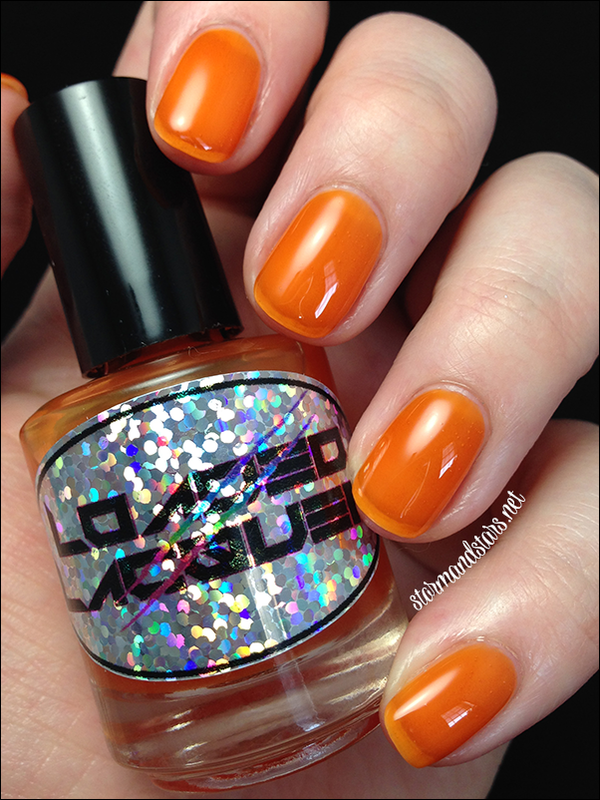 Be sure to also follow Loaded Lacquer and Heather on social media for news, swatches and info about new collections and restocks! 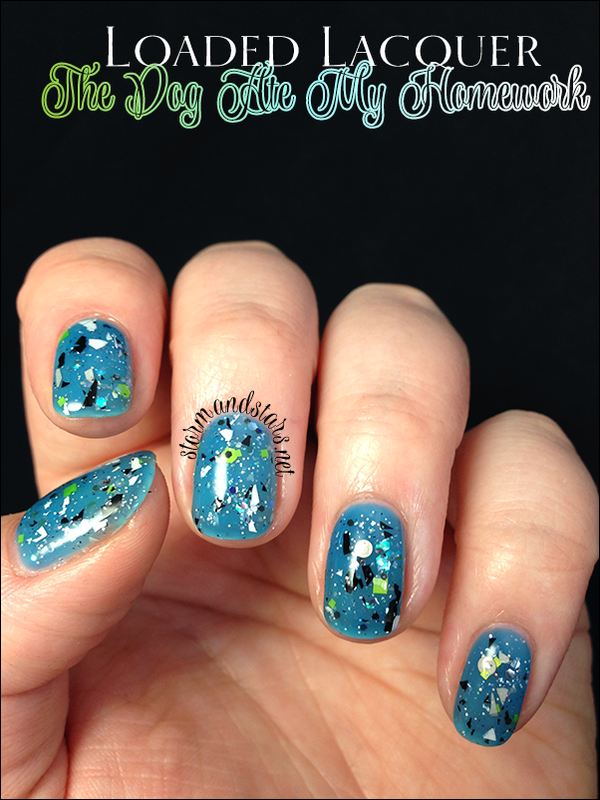 She posts the best mini vids of her lacquers being poured into bottles. They are mesmerising.